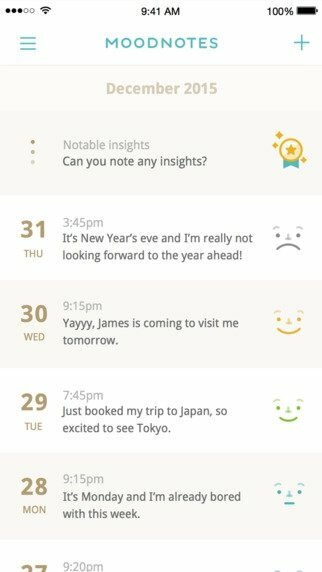 The idea behind Moodnotes is to provide the user a method to keep track of his daily feelings and develop positive thinking habits to make him feel better. 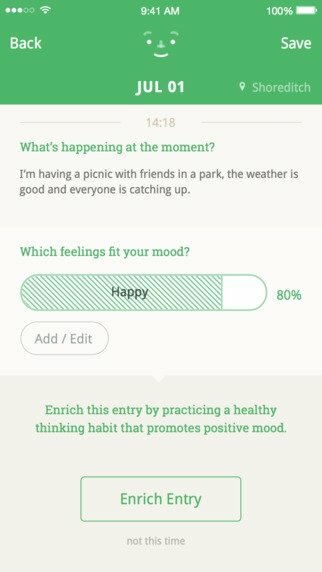 For such purpose, an expert psychology team has joined forces with the developers behind the popular game Mountain Valley to create an application that works like a diary where the user can take note of his moods to realize which situations affect him positively and negatively. Helps to understand what does and doesn't suit you. 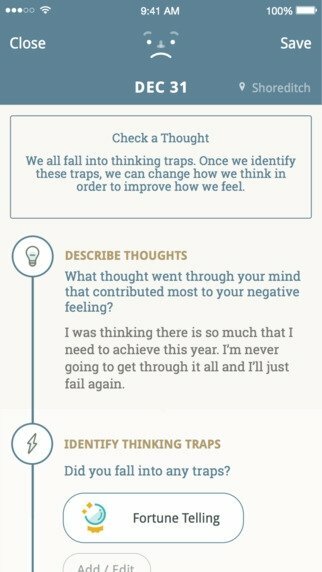 Encourages you to think positively. 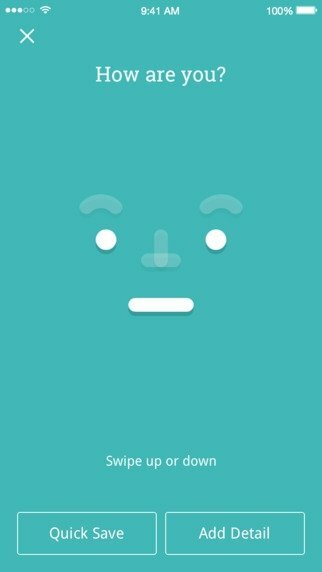 Helps to relieve distress and produces a sensation of well-being. 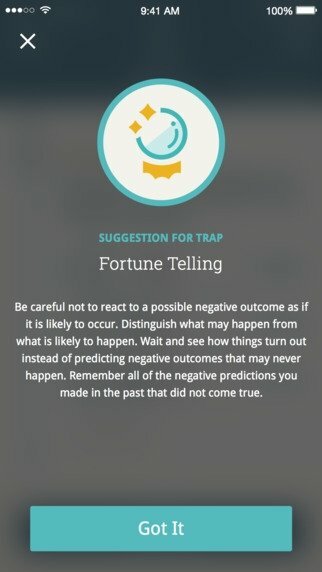 Stop thinking things over too much and start using this application that will help you to see your alleged problems from a different point of view.